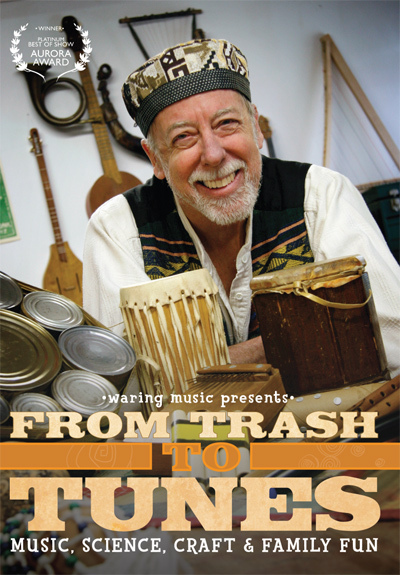 From Trash To Tunes is a two part entertaining and informative award-winning production. The first part features Dr. Waring presenting a portion of his popular show to a group of young people. 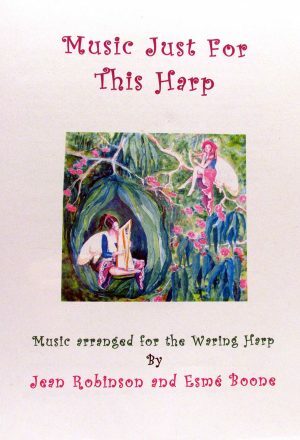 While emphasizing science, history and cultural perspectives, he weaves fun fascinating tales of the origin of music and how all cultures through time utilized their natural environments for making fantastic evocative instruments like the bull roarer, mouth bow, animal horn, sea shell trumpet, and bamboo flute. Each instrument, either because of its particular sound, design idea, or special symbolic dimension, has its own special story. 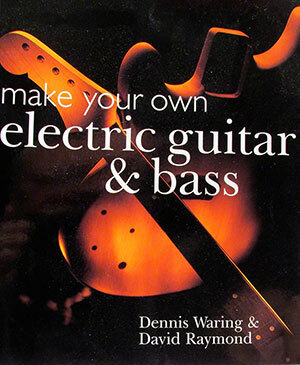 The second portion of the DVD features detailed step-by-step instructions of Dr. Waring demonstrating how to make over a dozen wind, string and percussion instruments using basic tools and simple materials including recyclables. 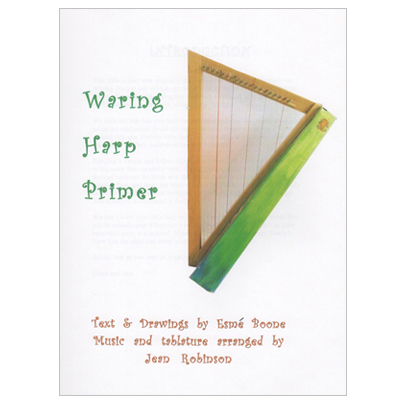 You can easily build a flute, a simple banjo, trumpet, rattles, finger piano, xylophone or drum. Safe tool use, careful measuring, craft techniques and science are emphasized in this entertaining section.